The history of St. Joseph’s Family Center is a testament to grassroots efforts to create change locally. In the mid-1960’s, a group of women from St. Mary Parish saw a need to help the poor. Spearheaded by Marge Albaugh, these women worked diligently to secure donations of food and clothing for those who were part of the parish community. After time, Ms. Albaugh recognized these needs existed throughout the entire community, so in 1981, the formal organization, St. Joseph’s Family Center, was born. The organization grew as did the City of Gilroy, and as the numbers needing help swelled. SJFC became the giving arm of a consortium of local churches, businesses and individuals. While the name has remained the same, signifying our close ties with the Catholic community, it is important to note that our organization has served the entire South County community for close to 35 years! Until 1994, SJFC functioned as a purely volunteer organization. In order to apply for grants, and to receive funding from a variety of social organizations, the Board of Directors decided to hire Ms. Albaugh as the first Executive Director of the agency and to hire additional support staff. This was a major turning point for SJFC. It allowed for greater productivity, accountability and consistency with the service delivery of the programs. 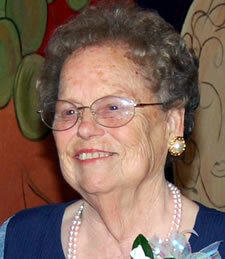 Marge remained in her position until her retirement in 2001, and served on the Board of Directors from 2003-2006. The organization operated under the auspices of the Diocese of San Jose until 2002, when the Board of Directors decided to establish SJFC as an independent, 501 c-3 organization. This allowed greater flexibility in program development, fund raising and notoriety throughout Santa Clara County. SJFC has seen its annual budget grown from just over 1 million in the year 2000, to an all-time high of 8 million during the fiscal year 2016-2017. Though St. Joseph’s has changed in many ways over the years, the vision remains the same – to improve the quality of life for under resourced families and individuals and be responsive to the ever changing needs in our community.